Available as download on PC, Mac, Linux. 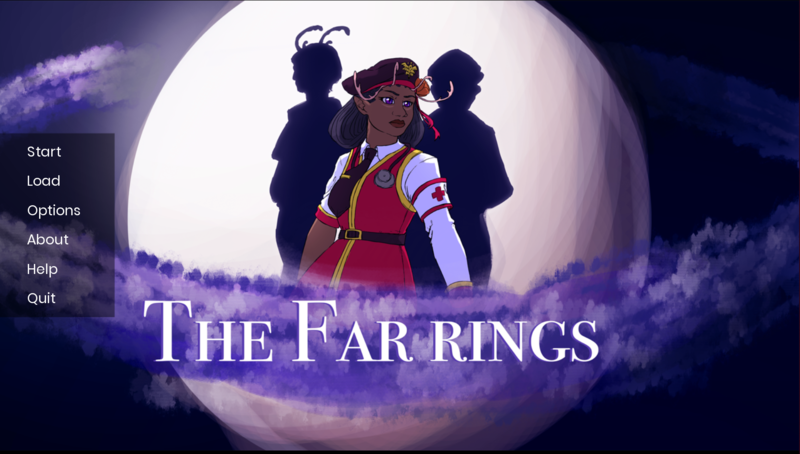 "Play as Athena, a doctor of mixed heritage torn between two worlds, as she tries to find her true home alongside two possible suitors!" Summary: Experience an intimate space opera in this Visual Novel with meaningful choices and multiple endings! Play as Athena, a passionate young doctor and sole survivor of a terrible incident. Three days remain on the trip 'home'—with only the ship's unsettlingly polite captain and a cryptic alien war criminal for company. But is everything really as it seems? Uncover their secrets as Athena decides where she truly belongs. Made in 48 hours as part of Global Game Jam 2019 with the theme of "What does home mean to you?" This is a demo and part 1 of a 2-part story. We expect to be finished Part 2 by early March. The full game will feature updated art (full-color backgrounds, updated character sprites, etc. ), a 25k script, over half a dozen endings, point-and-click game elements, and 2 CGs. 1. Click on the download button matching your computer (PC, Mac, or Linux). 2. Extract the zipped folder. Since you're planning another part, I think it would be nice if you got prompted to make a Save at the end of this part so your choices could carry over to the next part. A couple of small things in the options menu: It would be nice with a fullscreen windowed mode (a window covering the whole screen but without the border). And maybe have a brief explanation of the settings if you hover over them or click a little info/question icon - for example I wasn't sure if Auto-Forward Time would be faster or slower if I raised it (am I increasing the speed or the length of time it's displayed?). Looking forward to seeing Part 2!